After breakfast expolre Bangalore- the major hub for India's information technology sector and famous as the city of gardens. Visit Lal Bagh- known as Lal Bagh Botanical Garden built by Hyder Ali in 1760. Cubbon Park- built by Sir Mark Cubbon in 1864 and its most famous for the Archaeological Museum. After the lunch, visit Bull Temple- built by Vijayanagar Emperor in 1537, Sri Gavi Gangadhareshwara Temple- famous for its mysterious stone discs and dedicated to Lord Shiva. In the evening enjoy the fantastic view of Ulsoor lake- most beautiful lake in Bangalore built by Kempegowda II. Overnight in hotel. After breakfast, drive to Mysore, enroute visit Srirangapatna- famous for ancient temple. On arrival visit Sri Ranganathaswami Temple- dedicated to lord Ranganatha (Vishnu). Later drive to Mysore. On arrival transfer to the hotel, after lunch visit Mysore Zoo- known as Sri Chamarajendra Zoological Gardens, one of the oldest zoos in the world and it was built in 1892 by under royal patronage. Overnight stay in hotel. After breakfast, drive to Ranganathittu Bird Sanctuary- this small sanctuary known as Paksi Kashi of Karnataka and it was established near Kaveri river in 1940 by Wodeyar Kings. On arrival visit Ranganathittu Bird Sanctuary, this sanctuary is the home of migratory birds, who come across the world. This sanctuary are famed for Fauna & Flora, including mammals like Mugger Crocodile, Marsh Crocodile, Bonnet Macaque, Indian gray mongoose, Asian palm civet & flying foxes (bats) and Birds like- Great Thick-knee, Oriental Darter (snakebird), Egret, Indian Shag, Indian Whistling Duck and etc. Later drive back to Mysore for overnight stay. After breakfast, expolre Mysore- famous for Rich Heritage, Beautifully Laid-out Gardens, Sacred Temples etc. 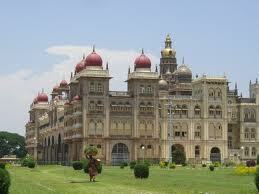 Visit Mysore Palace- one of the most famous tourist attractions in Mysore was built in 14th century. Later drive to Nargarhole- famous for national park, enroute visit Srirangapatna- famous for ancient temple. After that drive to Nagarhole National Park. On arrival transfer to the resort for overnight stay. After breakfast, Nagarhole National Park- famous for reserved house of Tigers and known as Rajiv Gandhi National Park. UNESCO try to add this national park as a World Heritage Site. In this national park enjoy the Jungle Safari/ Elephant ride to see the wild animals like Tiger, Leopard, Mouse Deer, Striped Hyena, Elephant, Indian Bison, Sambar, Crocodile, Chital and etc. In the evening enjoy the sunset with the nice view of birds flock. Overnight stay in hotel. After breakfast, drive to Bandipur National park- world famous for rare species of Flora, Sandalwood trees and it was built in 1931 for rise of Tiger population. 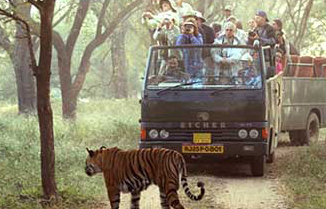 On arrival transfer to the resort, after relaxation visit national park for open Jeep Safari or canter Safari. 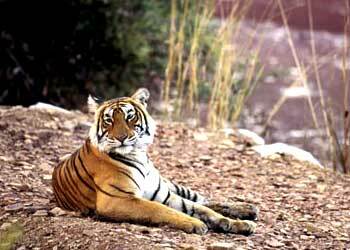 In this national park you can see Tiger, Python molurus, wolf snake, Sloth Bear, Indian giant squirrel, Indian Elephant, Gray langur and etc. That is opportunity you can take pictures of animals in their natural habitat. Overnight stay in resort. After breakfast, again visit Bandipur National Park to enjoy the Jeep Safari or canter Safari with naturalist guide, to complete the full sightseeing of this national park and take more pictures of wild animals. Evening is free for leisure and your own activities. Overnight stay in resort. After breakfast, drive to Ooty- famous as the Queen of hill stations. On arrival transfer to the hotel, after relaxation visit Botanical Garden- famous for Paperbark Tree, Monkey Puzzle Tree & Cork, built in 1847 by William Graham McIvor, Doddabetta peak- highest mountain in the Nilgiri Hills & Tea plantation. Later visit Blue hills of Nilgiri- famous for Waterfalls and Flora, see the various Wild Flowers, Greenery, Hill Slopes, Tea Garden and much more. Later visit Ooty Lake- enjoy the boat ride in the lake, it was built in 1824 by John Sullivan. Overnight stay in hotel. After breakfast, drive to Munnar- world famous hill station with native flora and fauna, on arrival transfer to hotel. After relaxation visit Anamudi- most famous and ideal place for trekking. Overnight at hotel. After breakfast, drive to Rajmalai wild life sanctuary- known as Eravikulam National Park and it is the house of Mountain Goats, Ruddy Mongoose, Dusky Striped Squirrel, Atlas Moth, Nilgiri Langur etc and later visit Kannan Devan Hills- Famous for Tea and Coffee crops. Later drive back to Munnar for overnight stay. After breakfast, drive to Periyar- famous for Periyar National Park and Wildlife Sanctuary, on arrival transfer to hotel. 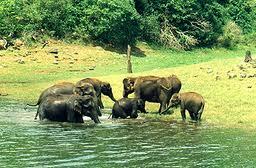 After relaxation visit Periyar National Park & Wildlife Sanctuary- known as reserve for Elephants and Tigers. In this sanctuary enjoy the Safari Cruise with the attractive view of Elephants, Sambar Deer and more animals flocks around the Periyar lake. Overnight at hotel. After breakfast, again visit Periyar National Park and Wildlife Sanctuary to enjoy the Jeep Safari or canter Safari, to complete the full sightseeing of this national park and take more pictures of wild animals. Later visit Spice Garden- to view different varieties of spice like Clove, Pepper, Vanilla, Tea, Ginger etc. Overnight at hotel. After breakfast drive to Kumarakom, enroute visit Alleppey- known as Alappuzha and world famous tourists attraction for the Backwater tour in Kerala, through Houseboat. Moving towards Alleppey, enjoy the viewing of nature beauty with ethnic Kerala cuisine. In the evening drive to Kumarakom, through Houseboat with the view of tiny birds flock. Overnight at the houseboat. Early morning, disembark upon the houseboat and transfer to resort, after breakfast visit Kumarakom Bird Sanctuary- a paradise haunt for migratory birds and Marsh Harriers, Darters, Brahminy Kites etc. Later enjoy the nice view of Fishing- the traditional work of Kumarakom people. In the evening enjoy the Toddy- the local wine. Overnight at resort. After breakfast drive to Cochin (Kochi)- known as the Spice coast of India. On arrival transfer to hotel, after relexation visit Fort Cochin- built by King of Kochi in 1503, St. Francis Church- it is one of the oldest European church of India, built in 1503. In the evening enjoy boat ride on the Backwaters Area & Palm Fringed Lakes. Overnight at hotel. After breakfast visit Jewish Synagogue- it is one of the oldest Synagogues in India and it was built by Yehudan people in 1568. Later visit Mattancherry Palace- known as the “Dutch Palace”, built in 1555 by Portuguese & Veera Kerala Varma (Raja of Kochi). In the evening enjoy the Kathakali Dance- the world famous Classical dances of India. Late evening transfer to International airport to board the scheduled flight to hometown and tour concludes with happy memories.